Wandering around the vibrant array of bars, brewpubs and restaurants in New York's hippest and most populated borough, it is hard to believe that for nearly two decades this area did not boast a single brewery. At the turn of the century, Brooklyn was home to 48 of the institutions, putting it at the very forefront of the American brewing. However, by 1976, amid rising labour costs and taxes, the last of its breweries had shut up shop, and it wasn't until 1996 when Brooklyn Brewery was founded in Williamsburg that the resurrection of the borough's beer scene began. 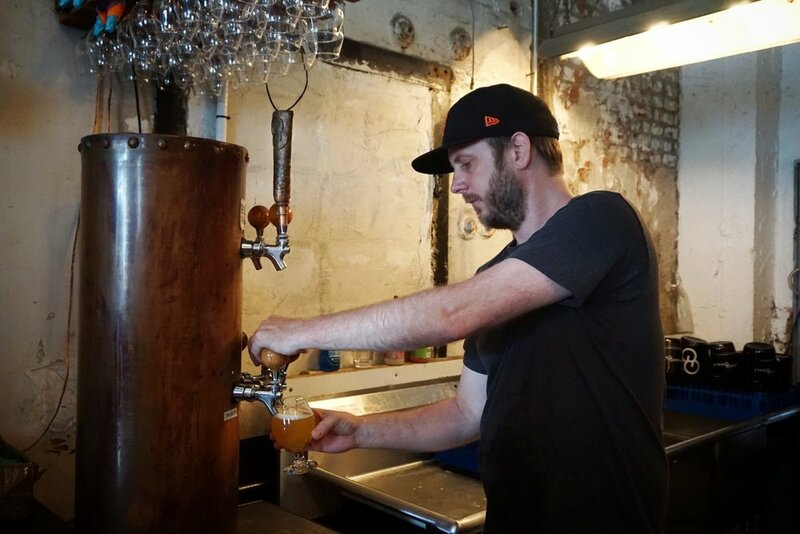 Today the number of breweries in Brooklyn stands at around 13, with the borough now seemingly leading the way in New York's craft beer revival. Alongside the wide variety of superb beers being produced in Brooklyn, a melting-pot of cultures and cuisines has resulted in some of the best restaurants in the city also being located in the borough. For the self-confessed food and drink lover, it is an destination that cannot be missed off any trip to The Big Apple. To help sort the chaff from the grain, here is a list of six places in Brooklyn you really ought to visit. For many beer lovers, a trip to Other Half Brewing is something of a pilgrimage. 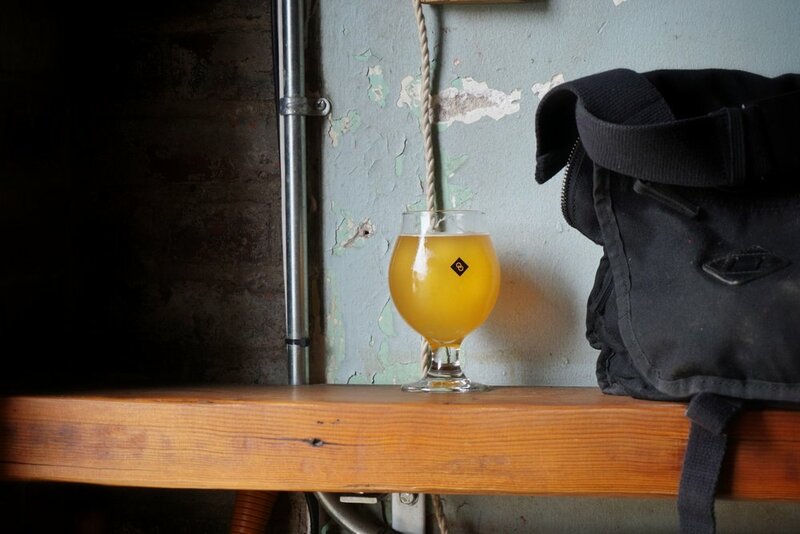 This brewery, located a short walk from Smith 9th Street subway on a predictably barren industrial estate in Red Hook, is famous for its turbid New England IPAs and collaborations with other breweries across the world. The taproom itself is functional and minimalist, with all of the focus being on the twelve of the brewery beers on draught. If you're not into hazy beer, however, you may want to steer well clear. A half hour walk or short bus ride from Other Half is another of Brooklyn's new wave of craft breweries. Threes Brewing was founded in 2014 by Justin Israelson, Josh Stylman and Andrew Unterberg, and the brewery-come-brew pub's name is derived from both its address and its mission statement to be a brewery, bar and events space all rolled into one. The bar is more welcoming than Other Half, feeling more like a traditional drinking establishment or restaurant than a brewery. Threes brews are accompanied by other beers from micro and macro brands alike, whilst there is also a substantial wine and cocktail list. Food is provided by rotating pop-ups, meaning that the beers aren't the only thing that is ever changing on the menu. Threes beers range is huge, from their simple yet elegant and citrusy table beer, right up to Wandering Bine; a Green apple skin, mixed berry foudre-fermented saison that has more layers than an onion and a distinct whiff of Burning Sky's Saison A La Provision about it. It would be very easy to mistake this quaint, modern bar for a coffee shop or an art gallery. Located on a quiet street in Prospect Heights, Covenhoven takes its name from a farm that pre-dates the neighbourhood and boasts 16 taps, as well as more than 150 beers in bottles and cans. A small square porch out the back of the bar could easily be a residential garden, whilst the clientele ranges from hard-core beer nerds to families with young children and students. Amongst the highlights on tap are a sticky, bud-like Imperial IPA from Hudson Valley brewery and a wild sour mango IPA from Baltimore's Stillwater Artisanal microbrewery. Cans from local favourites Greenpoint Beer & Ale Co and gypsy brewers Grimm Artisanal Ales come highly recommended by the bar's helpful staff. Located in the slightly more bustling surroundings of Williamsburg is Fette Sau, an American smoked meat restaurant, which also serves craft beer 'by the gallon' and boasts an impressive selection of whisky from the US and abroad. Queues at peak times often stretch around the corner at this popular foodie hangout, but the tender and juicy cuts of meat (priced by the pound) are well worth hanging around for. 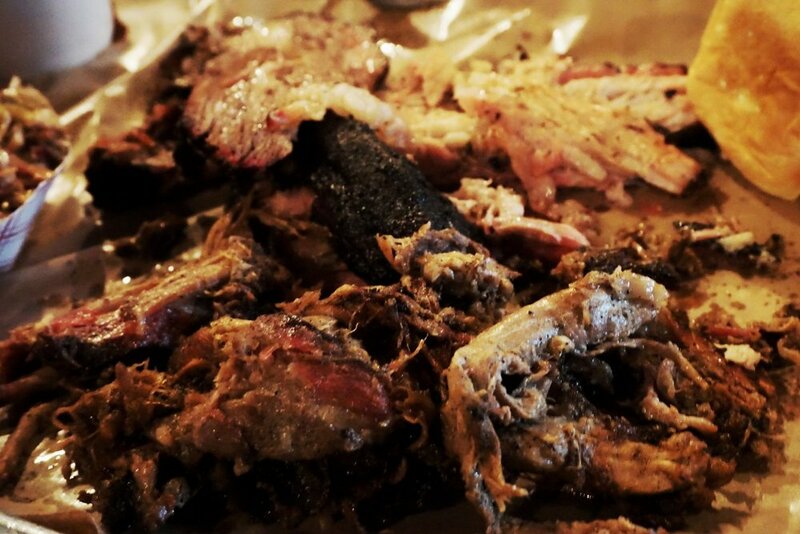 The flexible nature of the pricing means there is little to no wastage, whilst the burnt beans and 'slaw are essential sides for an authentic American BBQ experience that is totally unpretentious and incredibly delicious. Around 30 minutes walk to the east of Fette Sau is Interboro Spirits & Ales, Brooklyn's only craft brewery and distillery. This quirky taproom only opened in 2016, but has fast become a mainstay of the New York beer scene. Interboro takes its name from a prohibition brewing company, and is well connected with its founder Jesse Ferguson hailing from Fort Collins and having previously worked for Other Half. The beers are clearly inspired by their Brooklyn neighbours, heavy in tropical flavours, low on bitterness and even lower still in transparency. 'Another Dose' the brewery's collaboration with Other Half, is a smelly, almost cheesy double IPA that leaves you reeling, but intrigued enough to come back for a second slurp. For those less inclined to drink beer that smells a bit like old feet, Interboro launched Brooklyn's first ever canned gin and tonic, produced at the brewery's on-site distillery, in May of this year. Don't come to Brooklyn Crab if you're looking for a fast bite to eat. This three-floored restaurant in Red Hook, Brookyln's most southerly point, is famed for its long waits and leisurely approach to service. However, if you've got an evening in New York to spare, there are hardly better places to waste it than this idyllic seafood shack looking over New York harbour. The beer selection leaves a little to be desired, although brews from nearby Sixpoint Brewery are more than passable. The focus is instead on the atmosphere and the delicious range of seafood on offer. From Sewansecott oysters to succulent crab cakes, the entire menu is a fish-lover's paradise, but the pick of the lot is undoubtedly the 1.25oz Maine Lobster, served up with three different varieties of North American crab at the eye-watering price of $130. One for special occasions.